This game is excellent speaking and listening practice for beginning students of all ages. 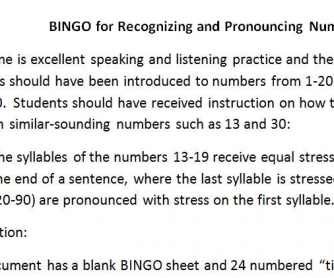 Students should have been introduced to numbers from 1-20 and multiples of 10 up to 90. 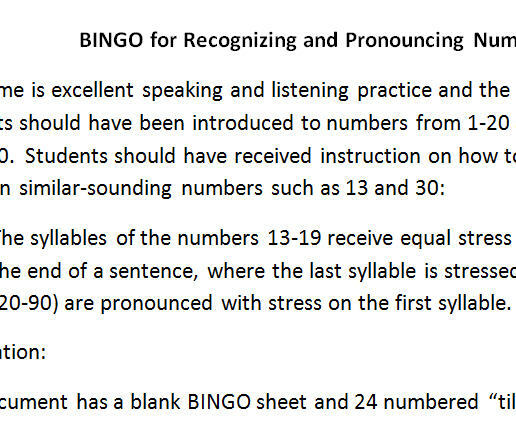 Students should have received instruction on how to tell the difference between similar-sounding numbers such as 13 and 30. The worksheet includes a detailed description of the procedure for playing and ideas for variations.